Looking to whip up something extra special this Valentine’s Day? 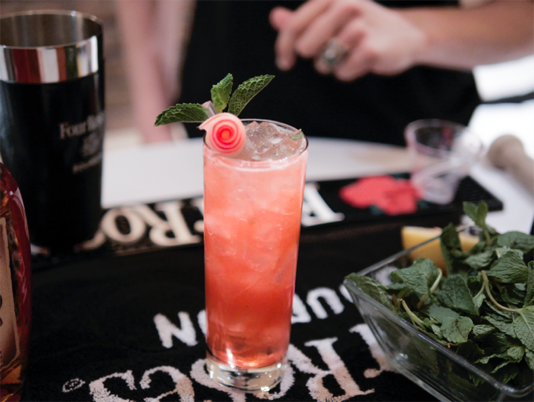 Grab some Four Roses Single Barrel and whip up a bit of homemade rhubarb syrup and you have yourself a refreshing (and romantic) Rosé Runner. Method: combine Bourbon, rhubarb syrup, mint and lemon. Add ice and shake. Pour into highball glass with large ice cubes. Top with Procecco and dashes of bitters. Garnish with mint sprig.